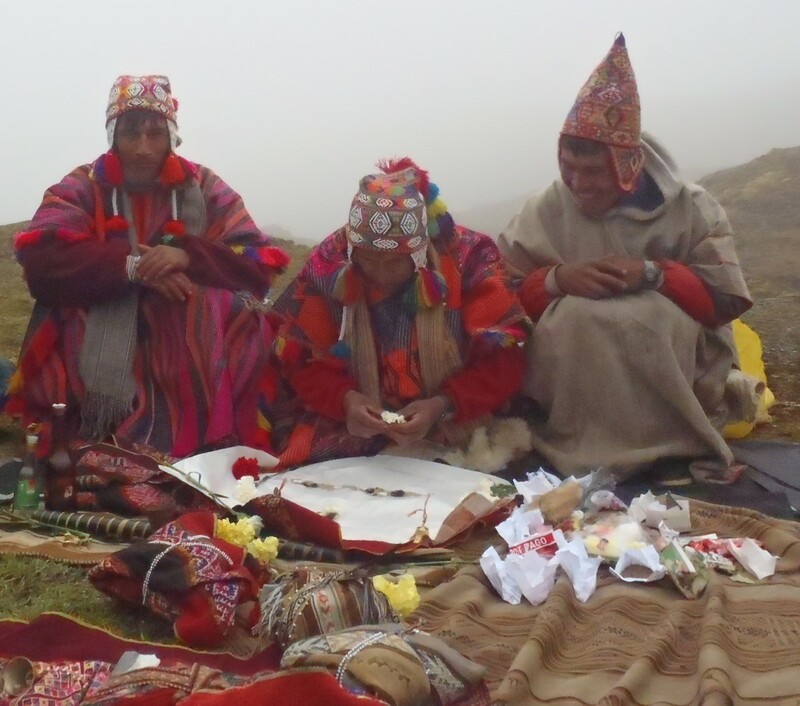 A Despaho ( prayer bundle) is an Andean tradition of South America. 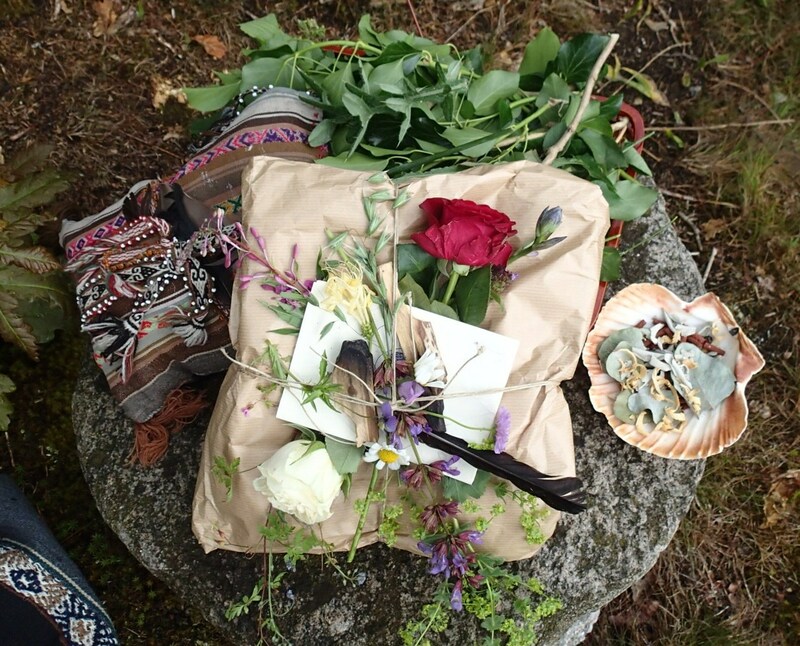 It is a ceremonial offering to PachaMama (mother Earth) and the Apus (the mountain Spirits) and other nature deities. A personal Despacho is an opportunity to really focus on any areas of our life where we feel the need of support or would like to ask for blessings. Birthday, Marriage, new Birth, new Year etc. It is a powerful way to set our intentions and prayers and let them be released in the highes t intentions. It is a wonder-filled way to gather our wishes, prayers, desires mixed with a blessing from our hearts. Despachos also help align personal energies with their cosmic blueprints. 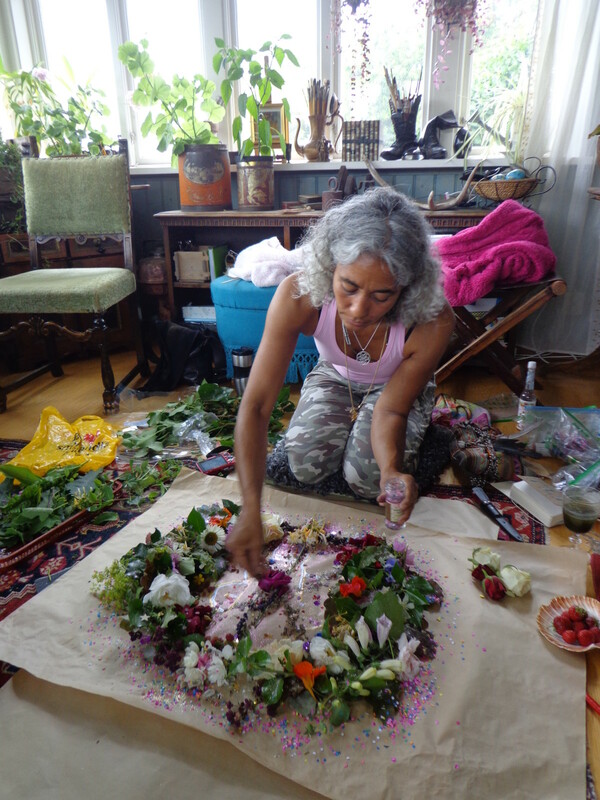 The holder of the ceremony build and blow prayers into the Despacho adding items that will represent the intentions, such as sugar, incense, flowers, seeds, shell etc. When the whole Despacho is ready it can be burned for the quickest transformation, dug down into Earth, sometimes our prayers needs to go to “heaven and back ” before they are dispersed, if we have a special bond with the water spirits the Despacho will be placed in a flow of water, whatever feels right in that moment to set off the prayers in a beautiful setting. A Despacho Ceremony can either be performed by me and you participating or be held as a personal workshop. Start to think about what intentions you would like to add into your life and contact me for further information and price.